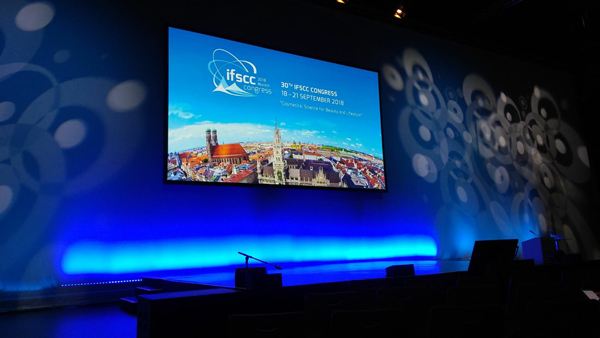 Dr. Aitziber López Elorza, representing CIDETEC Nanomedicine, presented the work "Skin-responsive smart nanocapsules for triggered release of active ingredients in damaged skin" at the 30th IFSCC CONGRESS held in Munich between 18 and 21 September. The congress, organised by the International Federation of Societies of Cosmetic Chemists, brings together more than 1500 delegates from all over the world for four days. The event, one of the most important in the field of cosmetic science, will feature more than 90 oral lectures and 400 posters, and will provide an opportunity to learn about new market trends and to build relationships with leading companies in the sector.